Funeral service will be conducted Saturday morning. October 10, 2015 at 11:00 a.m. from the chapel of the Taylor Funeral Home with Bro. George Caudill and Bro. Dan Erranton officiating. Visitation with the family will be on Friday October 9, 2015 from 4:00 p.m. until 8:00 p.m. and on Saturday beginning at 9:00 a.m. until time of service. Place of rest will be in the Dickson County Memorial Gardens. Those desiring, Memorials may be made to the Walnut Street Church of Christ, Parkinson's Research, Alzheimer's Foundation or to the Stone's River Manor. Mrs. Daniel, age 88, of Burns,TN died peacefully, October 6, 2015 at Adam's Place in Murfreesboro,TN. She was born in Dickson County, daughter of the late Albert Brown and May Thompson Street and widow of the late Glynn Daniel. Mrs. Daniel and her late husband owned and operated the former Glynn's Fabric's in downtown Dickson for many years and she was also a homemaker and seamstress who did alterations for Fussell's Shop in Dickson. She was a 60 plus year member of Walnut Street Church of Christ. 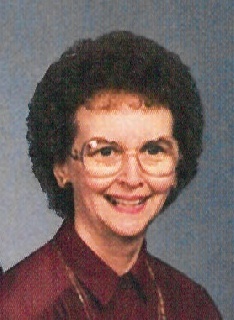 Survivors include her son; Norman Daniel and his wife Barbara of Fairview, TN, her daughters; Beverly Anderson and her husband, Don of Hixson,TN and Shirley Smith and her husband Randall of Murfreesboro,TN, her 6 grandchildren; Joe Anderson, James Anderson, Barry Daniel, Allison Daniel Crowder, Dana Smith Staley and Laura Smith Darnall, her 12 great grandchildren and her 2 great great grandchildren. Grandsons and Grandsons-in-law will serve as casketbearers.